"We are very happy with the software because it is easy to use and the presentations are very professional". A Canadian radio station. "Delivering interests of community events, current affairs and general information, Repeat Digital Signage was the best solution. We are very happy with the software because it is easy to use and the presentations are very professional. People in the community are pleased with the extra step we have taken to provide them with current affairs. Repeat Signage digital signage is a great addition to our office". 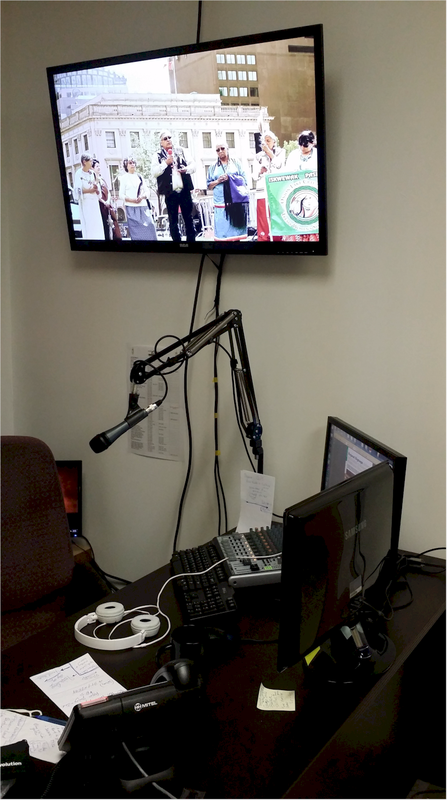 "The Onion Lake Radio Station (KR102.5 FM) is in the business of providing up-to-date information to our listeners and Repeat Signage has given us an opportunity to deliver that task by presenting a digitized version of our PSA's (public service announcements)". Veron Lewis, Communications Manager, Onion Lake Cree Nation, SK, Canada. Repeat Signage is user-friendly, digital signage software which helps you get your message across to your audience. You can schedule presentations to play at various times of the day or week, and update your content via your local network or remotely over the Internet without any on-going costs.